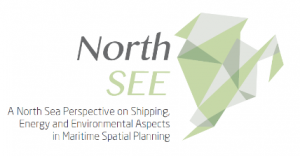 Kai Truempler from German Federal Maritime and Hydrographic Agency (BSH) gave an insight into the Baltic LINes and NorthSEE projects stressing out that MSP issues we face are broad scale and of a joint nature. He expressed that there is a lack of information to plan across boarders and there are patches in both seas that indicate a lot of work in the future. Both projects have contributed to the planning across the borders and filling some of the patches, of course not all is done, but now we are closer to common understanding of the future work. Joreon Van Overloop from Federal Public Service Mobility and Transport in Belgium explained the importance of shipping in the Baltic Sea and North Sea and what should be taken into consideration for MSP. For a long time, ships have been the masters of sea, however, a question is are they still important today? Shipping is the blood of economy, as more than 80% of all transported goods are on board of a ship, showing it’s importance also today. Shipping should be taken into consideration also in the future as new technologies are developing also in shipping, e.g. autonomous ships that are already in the sea. Andronikos Kafas from Marine Scotland described the energy sector. If shipping is the blood of economy, energy is the heart of economy. Energy systems are being transformed just now. Energy demand is growing and there is an expansion of renewable energy. The important factor for this trend is a climate change, that looks pessimistic for the future unless actions are taken. In the energy sector government policies have a very strong role to play. The Northern European sea basins are quite crucial for the production of renewable energy, as TOP 5 leading countries in the field of offshore wind are around the North Sea and the technologies developed here can make a big difference worldwide. Manuel Frias from HELCOM Secretariat explained the data importance in MSP and the issues that maritime planners face when looking for an up-to-date data from neighbouring countries. Baltic LINes contributed to the MSP data availability by developing a decentralized data infrastructure ‘BASEMAPS’. Data infrastructure collects the data from an original source and ensures that planners can always have an access to an up-to-date data. He reminded to always publish the data in open standards, to ease planning process, help to develop coherent plans across the borders and ensure better environment and blue growth. Harald Warmelink from Breda Uiversity of Applied Sciences stessed out that the importance of data has been an added value of developing the MSP Challenge simulation platform. Essentially MSP Challenge 2050 is a platform for a very comprehensive MSP simulation through dozens of real GIS data layers players can draw new plans and see the effects on shipping, energy and environment. People with different backgrounds and experience can learn and collaborate doing MSP, it shows complexity of MSP. What is the added value of MSP Challenge? People can learn and collaborate about MSP by really doing the MSP. Online demo version is coming soon that will allow people all over the world explore MSP processes. Riku Varjopuro from Finnish Environment Institute talked about an import task of the Baltic LINes project, namely, planning criteria. Work started with naming the planning issues, problems and mismatches in planning. He showed some examples of MSP planning issues in the Baltic Sea. During the project implemetation Baltic LINes team compared the national planning criteria and approaches in countries, which is useful for planners to know, what kind of planning approaches are used across the region. They came to a conclusion that it will be challenging to propose a common criteria for all countries as the planning processes are different from country to country. 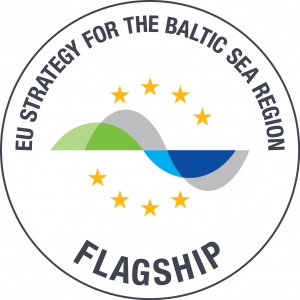 In the end Baltic LINes project proposes a step wise approach for better, morte coherent plannign. He invited to download the reports developed under the project activities and to explore more about the work on planning criteria.